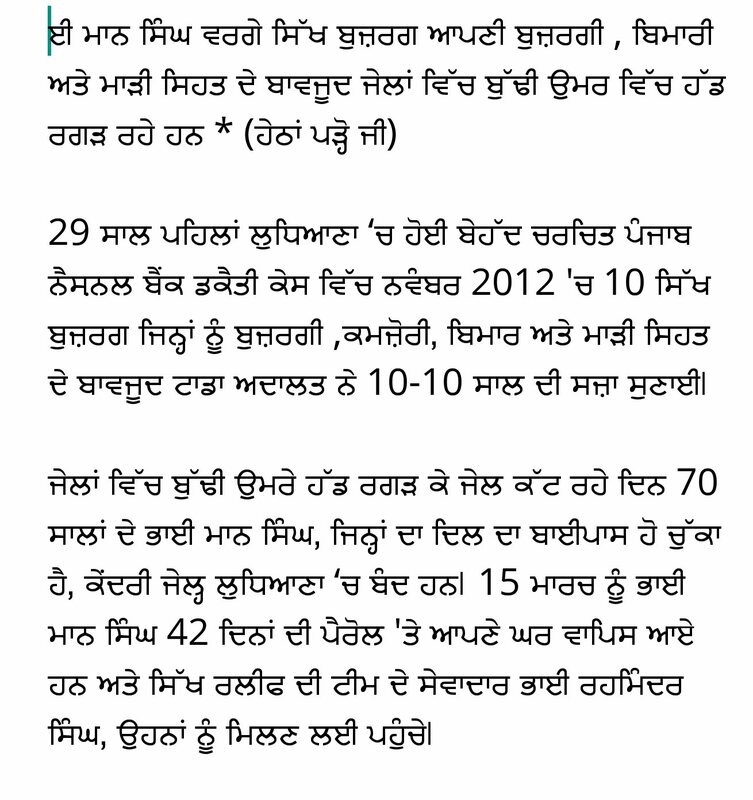 UIn 2012, a TADA Court indiscriminately sentenced 12 Sikhs to 10 years imprisonment, in the well-known Ludhiana Bank Robbery case dating back 28 years. Most of those convicted were elderly gentlemen at that stage in their lives where their health has deteriorated and their bodies are already weak. But they are forced to endure the rigours of life in an Indian jail. One of those Sikhs is Maan Singh who is in his seventies and has undergone a heart bypass. 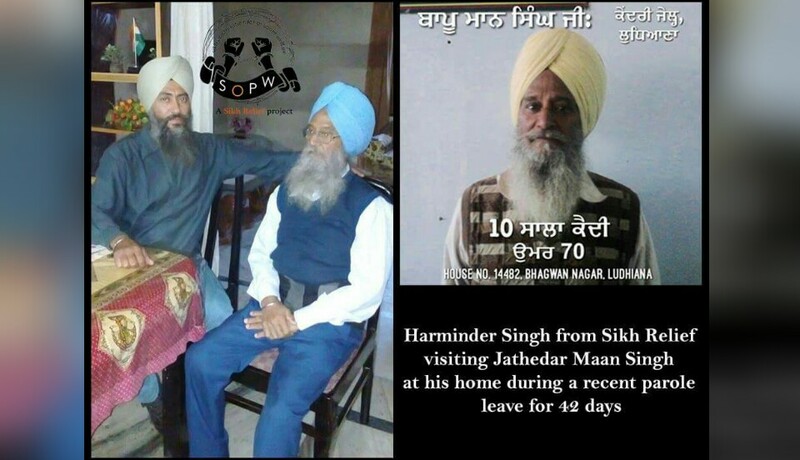 He returned home from Ludhiana Central Jail on 15th March 2016, for a 42 day parole period and our team representative Harminder Singh, went to visit him a few days ago. Sikh Relief stands by these panthic-minded elders, many of whom have been activists for Sikh rights, even serving jail time during the Dharm Yudh Morcha in the 80’s. Now at a stage in their lives where they face health issues and complications, they are locked behind bars where medical attention is not availed to them and neither the judiciary nor the Punjab government takes any notice of their plight.